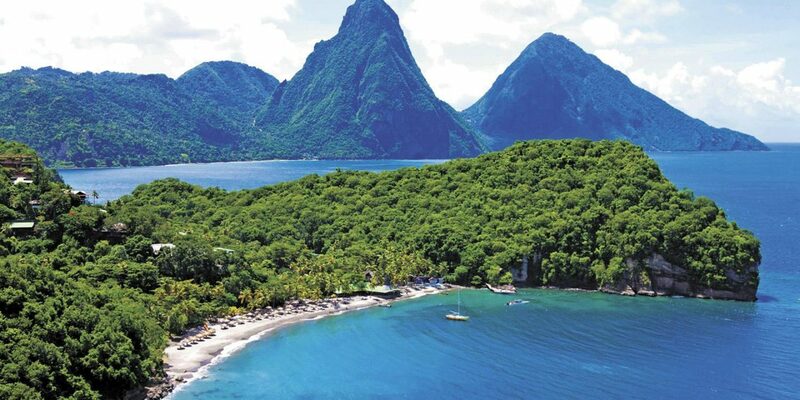 The tropical island of St. Lucia, located in the Caribbean, is best known for its mighty Piton Mountains and gorgeous resorts on the beach. The island doesn”t have many all-inclusive resorts, but many properties offer all-inclusive packages. These are our favorites, rated by our staff of experts and other family travelers. While this luxurious, 600-acre resort isn"t a typical all-inclusive hotel, its quiet, refined space is a good choice for families wanting a less traditional experience. Children must be 10 years and older to stay at Anse Chastanet, with the exception of July through September, when ages 6 and older are welcome. All-inclusive meal plans are available, and guests enjoy the beach, pool, non-motorized water sports, guided hikes, and daily entertainment. 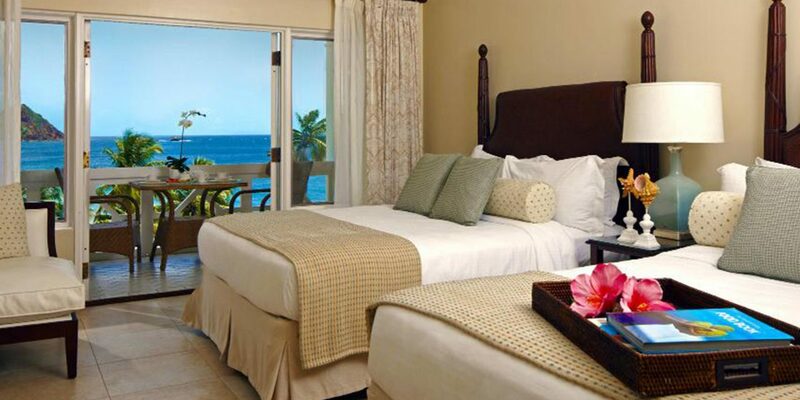 Located on Reduit Beach, this 4-star property is beautiful and filled with all the amenities families crave. 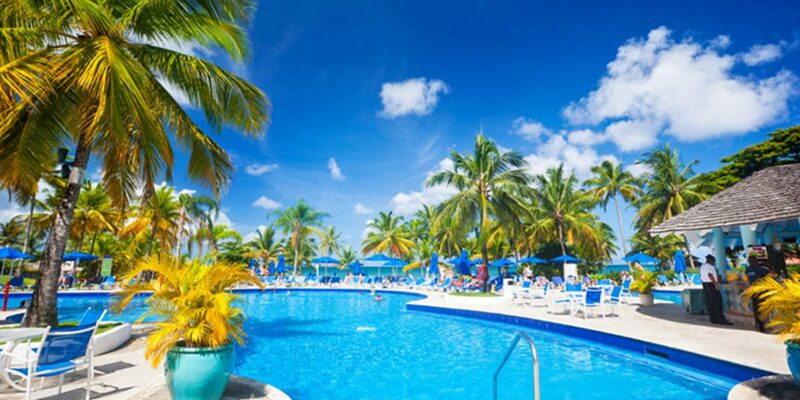 Bay Gardens Beach Resort & Spa isn"t all-inclusive hotel, but does offer an all-inclusive plan option that provides dining at this location, as well as Bay Gardens Resorts" other properties; free non-motorized sports; a free spa treatment; daily activities; and a kids" club. The resort"s Splash Island Water Park usually comes at an additional cost, but with the all-inclusive plan, you"ll get six free half-day passes. 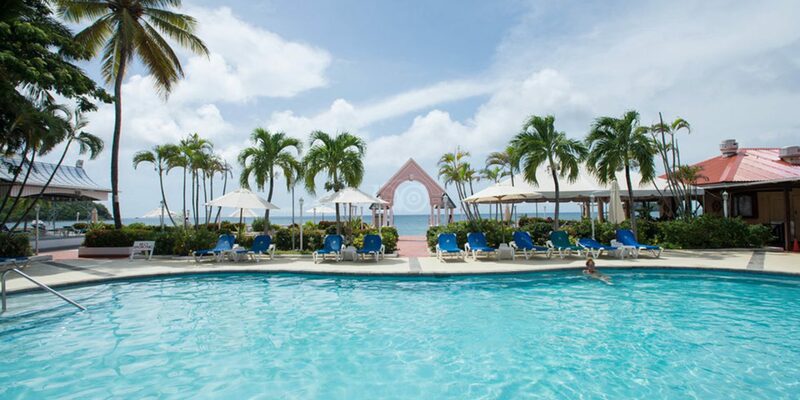 One of the island"s truly all-inclusive resorts, The BodyHoliday Le Sport covers all meals, drinks, sports and accommodations in nightly rates. 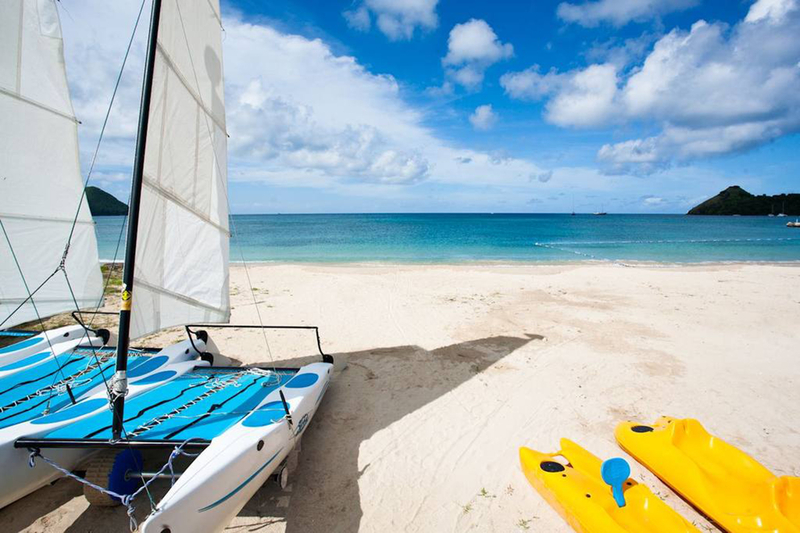 Bonus: Guests also receive a daily 50-minute spa treatment, non-motorized and motorized water sports, SCUBA dives and lessons, and golf lessons -- typically the amenities that cost extra at traditional all-inclusive resorts. 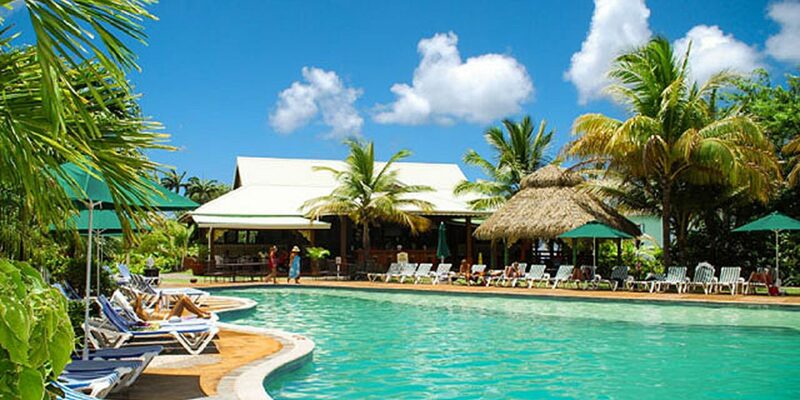 With the Coco Palm Resort"s all-inclusive package option, guests can enjoy all meals and beverages at the resort"s two restaurants, along with large family suites that include two bedrooms (with a king bed and two twins), two bathrooms, small fridges and Wi-Fi. The hotel also has swim-up rooms -- you can jump in the pool right from you room"s patio! The Coconut Bay Resort & Spa used to be a Club Med, so you can expect the same expansive resort style and amenities. 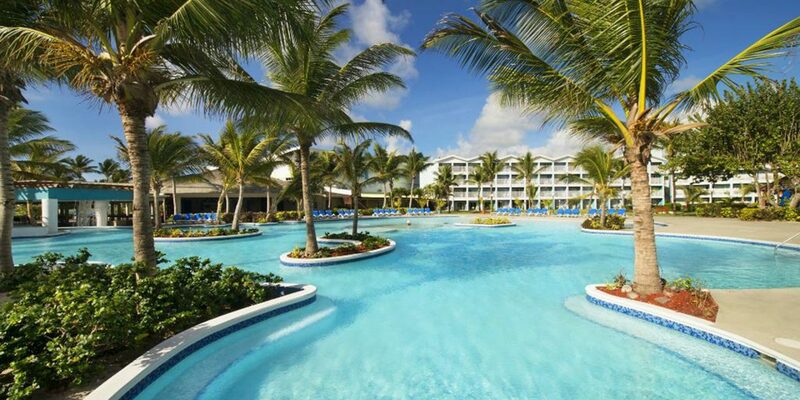 The all-inclusive resort is divided into two areas: Harmony, which is for adults, and Splash, which is for families. Splash features waterslides, a lazy river, a private beach and kids" programming for ages 2 and up. This beachfront property features a daily kids" club that includes picnics to Pigoeon Island, fishing by the bay, beach Olympics, sand sculpture competitions, treasure hunts, movies, coconut carving classes, limbo dances, baking classes and more. The resort provides spacious villa suites with two to three bedrooms and up to two children stay free. One of the larger all-inclusive resorts on the island, the St. James Club Morgan Bay features six distinct restaurants, six cafes and bars, four swimming pools, waterslides, nightly entertainment, a supervised kids" club, tennis, water sports and all the typical amenities found at other island resorts. Family suites combine two Garden View rooms with a king bed and two double beds to sleep up to five. 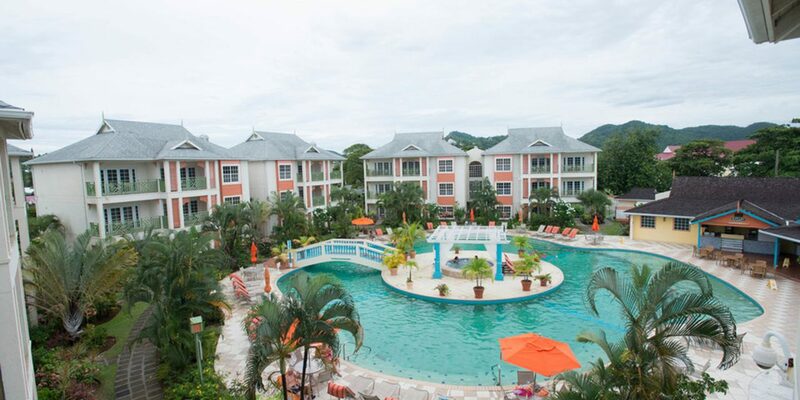 Rex Resorts operates two properties on St. Lucia, and this resort is the only one with an all-inclusive option. Guests enjoy evening entertainment, a swimming pool, tennis and access to the beach, as well full buffet breakfast, lunch and dinner. Non-motorized water sports are available for a nominal fee. The resort also provides children"s clubs for ages 4 to 12, and has a playground and services for babies and toddlers. 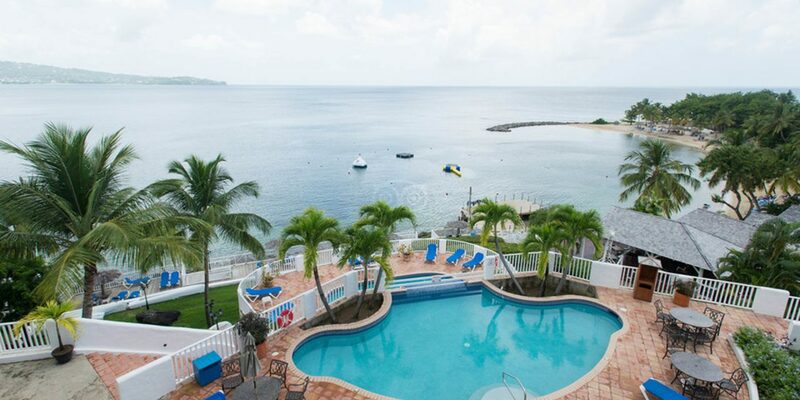 There is so much for children at Windjammer Landing, including a kids" club and a teen program with escorted shopping trips, bonfire nights, movies and more. The resort even provides nanny services to help parents with infants and young children. The resort is not all-inclusive, but does provide all-inclusive packages. The Premium Packages include meals, drinks, motorized and non-motorized water sports and tennis, while the Diamond Package also includes one massage per person.